I can’t remember a summer—hell, I can’t remember any period of time—during which a crop of indies was so far and away better/more promising than its blockbuster counterpart. My 10 most-anticipated major Hollywood motion pictures list included no honorable mentions, and if I’m being honest, I’m not extremely excited about a few items I actually placed on the list. Chef is Jon Favreau’s return to the indie circuit. He directs, writes, and stars in a character-driven comedic drama about a professional cook who leaves a high-profile restaurant job to work in a food truck. God’s Pocket is one of two films on this list featuring posthumous performances from Phillip Seymour Hoffman. This one is directed by Mad Men star John Slattery. Half a Yellow Sun is based on a beloved international novel and premiered at TIFF last fall. It stars Chiwetel Ejiofor, fresh off his first Oscar nomination, as one of several individuals fighting to establish an independent Nigeria. The Immigrant was James Gray’s first time in the director’s chair since 2009’s Two Lovers. It premiered to very good reviews at Cannes 2013 and stars Marion Cotillard. Night Moves sees Jesse Eisenberg and Dakota Fanning team up with director Kelly Reichardt in a decidedly Kelly Reichardt-esque film about eco-terrorists. Land Ho! was picked up by Sony Pictures Classics out of Sundance this winter. It’s a crowd-pleasing road-trip comedy from Cold Weather director Aaron Katz. Palo Alto is director Gia Coppola’s filmmaking debut and is based on a collection of short stories from James Franco. Tracks premiered on the fall festival circuit and stars Mia Wasikowska as a woman who journeys across nearly 2,000 miles of Australian desert. The Two Faces of January is the directorial debut of Drive screenwriter Hossein Amini. It’s based on a Patricia Highsmith novel (see also: The Talented Mr. Ripley) and stars Viggo Mortensen. A great crop of films, all of which have premiered to varying degrees of positive reviews at Toronto, Venice, Cannes, Sundance, SXSW, or Berlin. A number of films in my top 10 have already premiered, as well, but a few are still mysteries. What they have in common: they’ll make the dog days of 2014 really exciting for yours truly and cinephiles everywhere. I would have been all in on this film—a slow-burn thriller directed by Anton Corbijn and based on a John le Carre novel—even if its star, the late Phillip Seymour Hoffman, was still with us and had dozens and dozens of great performances ahead of him. That this is one of his final three roles, and that he’s unsurprisingly great in it according to reviews out of Sundance, makes it a must-see by any measure. Woody Allen is a staple on this list every year. Blue Jasmine wasn’t my favorite film of his, but it was a big step up from To Rome with Love (and Cate Blanchett gave the year’s best performance in it). We know very little about Magic in the Moonlight—it’s set in 1920s France and it stars Emma Stone, Colin Firth, and Marcia Gay Harden. It also could be great or terrible, but it’s Woody Allen, and that automatically makes it worth seeing. Speaking of directors whose presence is enough to make a film worth seeing, meet John Michael McDonagh. The brother of another such director—Martin McDonagh of In Bruges and Seven Psychopaths fame—John Michael McDonagh broke onto the scene with The Guard, a deceptively complex movie that I adore. Like that film, Calvary (another Sundance 2014 baby) stars the great Brendan Gleeson as a priest who’s dealing with some “dark forces” (per IMDb). 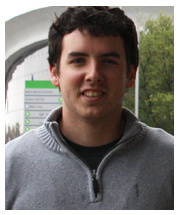 Plot details are out there, but I’m going to let McDonagh and his actors surprise me. I still haven’t seen Richard Ayoade’s directorial debut, 2010’s Submarine, but the film has plenty of champions. His sophomore feature, which premiered at TIFF last year, arguably has more. It’s wading into weirder territory—based on a Dostoevsky novel, it tells the story of a timid man whose more confident doppleganger nearly ruins his life—and its cast is very strong (Jesse Eisenberg, Mia Wasikowska, Sally Hawkins, Chris O’Dowd). This one premiered almost an entire year ago at Cannes 2013, where it was quietly praised for uniquely blending live-action and trippy motion-capture animation. I’m excited not just because it looks really cool, but because director Ari Folman’s Waltz with Bashir is a near-masterpiece. Plus, Robin Wright! Robert Pattinson gets down (under) and dirty with director David Michod in the latter’s follow-up to the brilliant Aussie neo-noir Animal Kingdom. It’s been four years we Animal Kingdom devotees have been waiting for Michod’s next film, and those lucky enough to be attending Cannes this year won’t have to wait much longer at all. The film premieres in the fest’s Midnight Screenings section, and it’ll be released about a month later. Would you believe me if I told you the “dapper” young man with the giant head in the picture above was Michael Fassbender? It’s true. 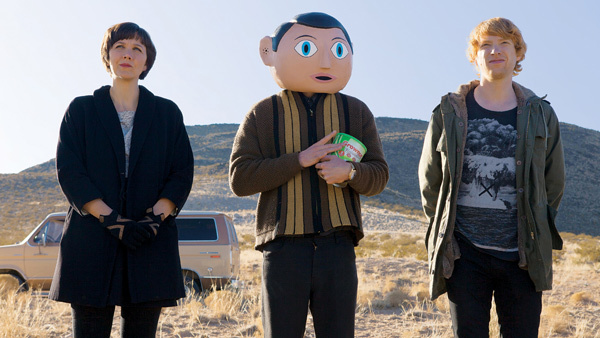 In Frank (from director Lenny Abrahamson of What Richard Did fame), Fassbender’s true face doesn’t make an appearance. He plays a musician whose trademark is a giant papier-mâché face he wears to obscure his identity. The weird part? It’s based on a true story. I’m excited. 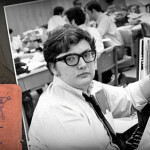 The life of the late Roger Ebert takes center stage in the newest documentary from Hoop Dreams and The Interrupters director Steve James, which predictably turned emotional critics at Sundance 2014 into blubbering messes over the course of two hours. Richard Linklater steps away from the Before trilogy and into a project that sounds even more interesting—a project he technically never left over the years. Boyhood has been in development for 12 years with Linklater filming scenes with his stars—Ethan Hawke and Ellar Coltrane—here and there over that entire period of time. After its premiere at Sundance, a few critics admired what the film represents more than the film itself, but most were over the moon for Boyhood, and nearly all agreed it was as fascinating a project as we’ll see in 2014. My most-anticipated movie of 2014 in general obviously tops this list. I don’t know really know what to say about this film at this point, but it’s got a premise that sounds unreal—a terrible class system and, ultimately, a revolt develops on a perpetually moving train that’s carrying mankind’s last survivors. Its director, Bong Joon-ho, is brilliant, and the cast is really strong, too.